Welcome to High Concrete Accessories. We're here to serve your plastic embedment needs. We work hard to keep prices low. Check out our price list, unchanged for more than two years to keep you competitive. Stop making embedments. Start making money. High Concrete Accessories have been used successfully by some of the largest precasters in thousands of structures across the US since 1995. Our products are engineered to eliminate the need for make-shift embedments cobbled together from cardboard, wood, foam or other scrap materials. 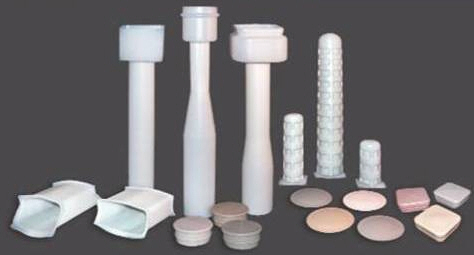 Because these prefabricated, plastic embedment products are noncorrosive and nonreactive, they save significant time and money. High Concrete Accessories can be used for all types of precast projects, including parking garages, cladding and wall panel assemblies, and stadiums.